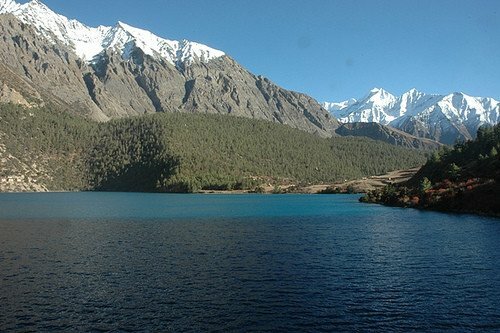 Dolpo is an ancient Tibetan kingdom located in the north east part of Nepal. It was only opened to trekkers in 1990. The Himalayan range can be seen in all its splendor and Phoksundo Lake with the Ringmo village provide some of the most beautiful Nepalese scenery. We follow the ancient Tibetan salt caravan route, across two high passes and through the wilderness in one of Nepal’s most remote areas. In the Dolpo region the monsoon, created by the sea winds blowing from the Gulf of Bengal, is tempered by the Dhaulagiri range and trekking is therefore also possible during the summer, a period during which flora explodes in all its splendor: orchids, edelweiss, campanulas, forget-me-nots. 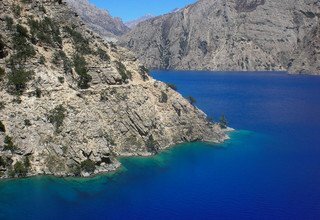 Jumla and Rara are also in remote Karnali region, about 375 Kilometers north-west of Kathmandu. 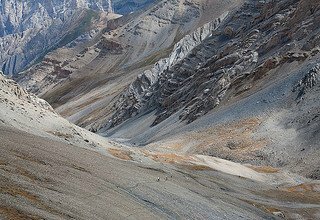 The region is made-up of long ridges covered with temperate forests and alpine pastures enclosing high valleys. 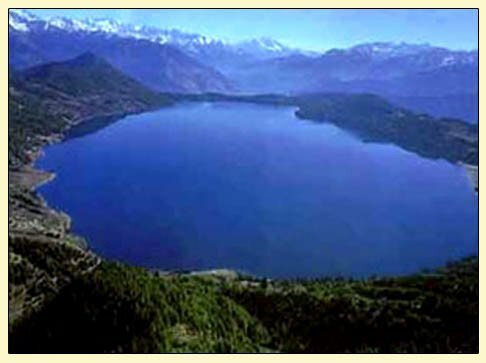 Rara is a good destination point for trekking in the west. The trail is very much "off the beaten path" and affords glimpses of culture and scenery very different from those in the rest of the country. 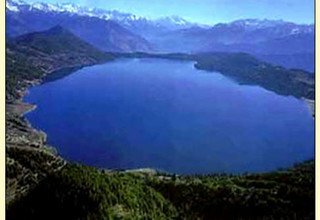 The most focal point of this area is Rara National Park which offers a reprehensive sample of the region’s flora and fauna. 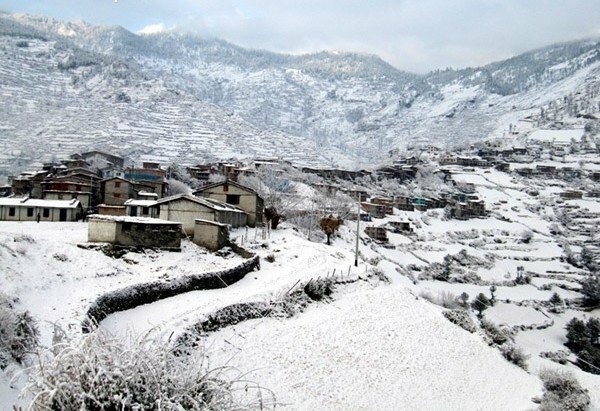 This park is spread over Mugu and Jumla districts. 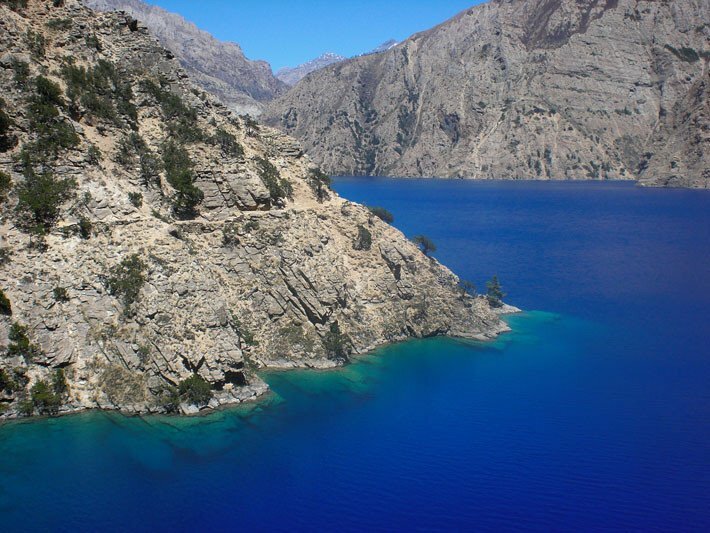 The most important feature of the park is Lake Rara, the biggest lake of Nepal. The Lake is deep as 167 meters. 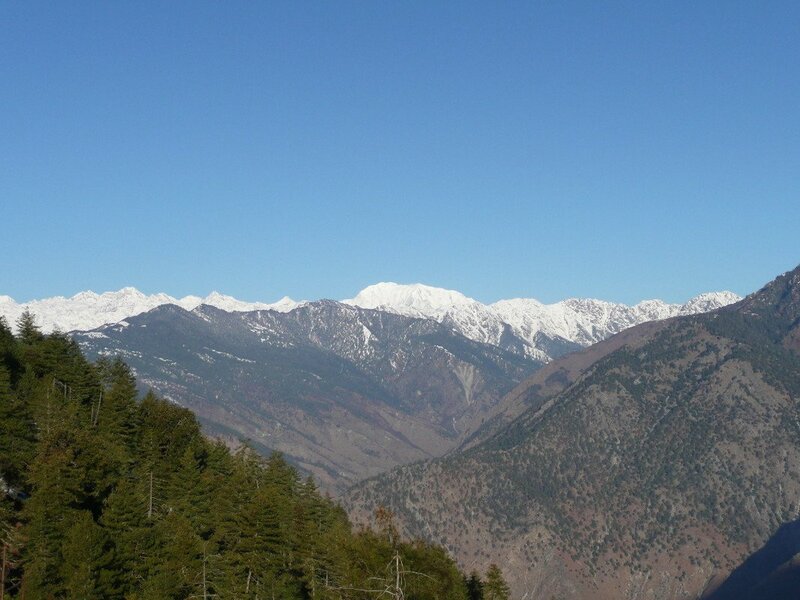 Rara National Park is covered with coniferous forest while the area is dominated by blue pine. Varieties species of animal are found here. 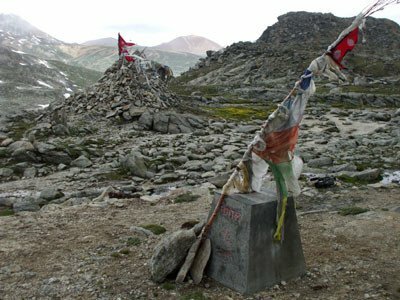 Summer season is considered as the ideal time for trekking into this area. 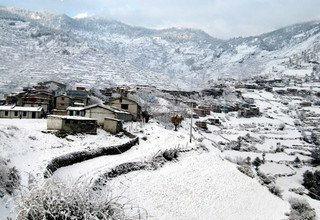 Winters are cold but autumn season trekking is rewarded with profusion of alpine flowers. 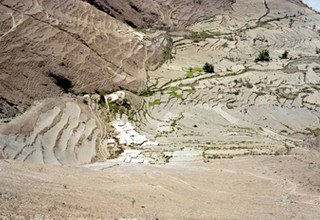 The flight from Nepalgunj to Juphal provides a wide panorama of western Nepal landscape. Day 1: Arrival in Kathmandu International Airport and meet with our company’s representative at the airport and transfer to Hotel. Welcome drink and short briefing about trip, relax. Day 2: Full day Sightseeing Tour in Kathmandu Valley such as Swayambhunath Stupa, Bouddhanath Stupa, and Pashupatinath Temple with our Tour Guide by private car, overnight in Hotel. Day 3: Fly from Kathmandu to Nepalganj and transfer to Hotel. 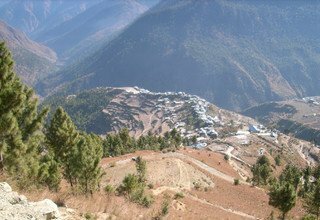 Day 4: Fly from Nepalganj to Juphal 2475m and trek to Dunai 2140m/4-5 hours, stay overnight at tented camp. 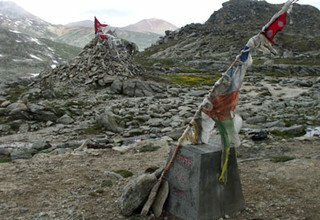 Day 5: Trek from Dunai to Chepka 2670m/6-7 hours, stay overnight at tented camp. 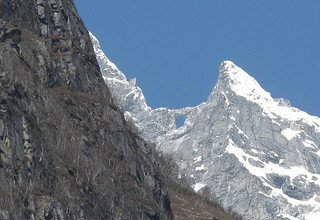 Day 6: Trek from Chepka to Renje/Jharna Hotel 2900m/5-6 hours, stay overnight at tented camp. 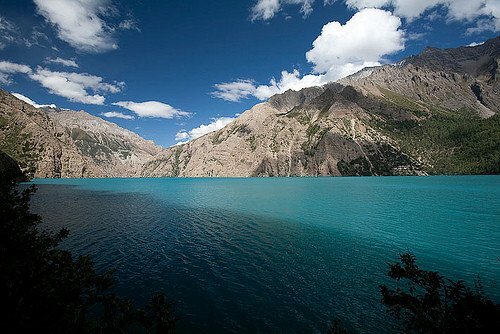 Day 7: Trek from Jharna Hotel to Phoksundo Lake 3730m/5-6 hours, stay overnight at tented camp. 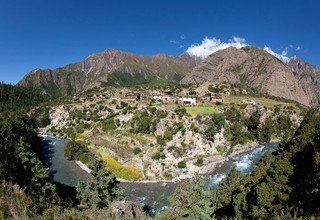 Day 8: Exploring the Shey Phoksundo Lake, stay overnight at tented camp. Day 9: Trek from Phoksundo Lake to Phoksundo Khola 4000m/4-5 hours, stay overnight at tented camp. Day 10: Trek from Phoksundo Khola to Phoksundo Bhanjyang 4420m/6-7 hours, stay overnight at tented camp. 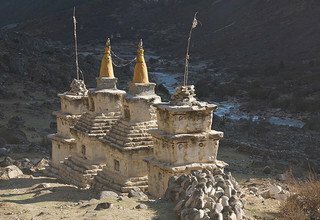 Day 11: Trek from Phoksundo Bhanjyang to Shey Gompa 4160m/5-6 hours via Kang-La Pass 5110m, stay overnight at tented camp. Day 12: Exploring the ancient Buddhist Monasteries, stay overnight at tented camp. 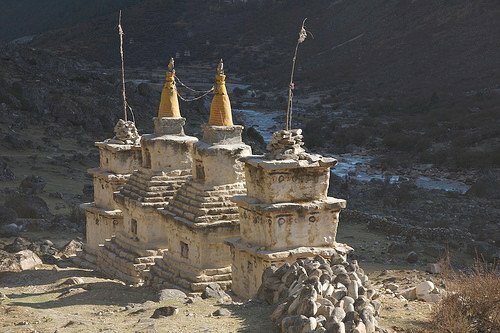 Day 13: Trek from Shey Gompa to Namgung 4430m/7-8 hours, stay overnight at tented camp. Day 14: Trek from Namgung to Nengla Bhanjyang Phedi 4600m/6-7 hours via Nengla Bhanjyang 5368m, stay overnight at tented camp. Day 15: Trek from Nengla Bhanjyang Phedi to Bhijer 4100m/6-7 hours, stay overnight at tented camp. Day 16: Trek from Bhijer to Phophagaon 4020m/7-8 hours, stay overnight at tented camp. Day 17: Trek from Phophalgaon to Jhoripala Bhanjyang Phedi 3655m/6-7 hours, stay overnight at tented camp. Day 18: Trek from Jhoripala Bhanjyang Phedi to Kharka 3300m/5-6 hours, stay overnight at tented camp. 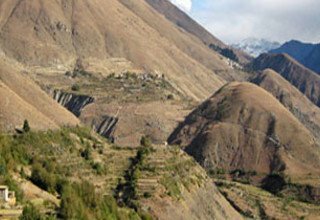 Day 19: Trek from Kharka to Dolphu 3310m/5-6 hours, stay overnight at tented camp. 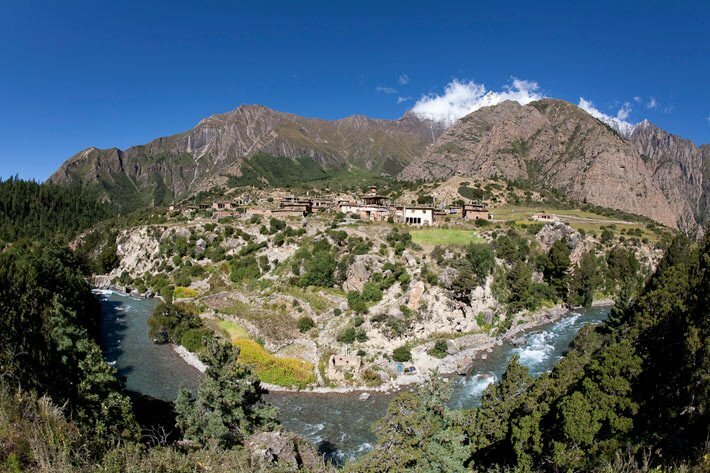 Day 20: Trek from Dolphu to Kimri 2900m/5-6 hours, stay overnight at tented camp. Day 21: Trek from Kimri to Mangri 2110m/7-8 hours, stay overnight at tented camp. Day 22: Trek from Mangri to Kumpha 2010m/5-6 hours, stay overnight at tented camp. Day 23: Trek from Kumpha to Gamgadhi 2025m/4-5 hours, stay overnight at tented camp. 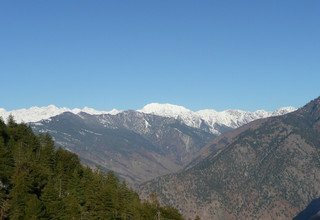 Day 24: Trek from Gamgadhi to Chhapri/Rara Lake 3200m/4-5 hours, stay overnight at tented camp. Day 25: Exploring Rara Lake, stay overnight at tented camp. Day 26: Trek from Rara Lake to Dhotu/Dhuir 2410m/4-5 hours, stay overnight at tented camp. 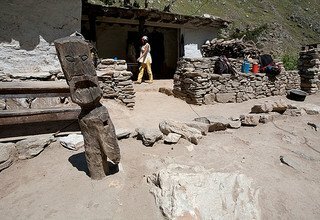 Day 27: Trek from Dhotu to Chautha 2770m/6-7 hours, stay overnight at tented camp. Day 28: Trek from Chautha to Daphe Lagna Camp 3130m/5-6 hours, stay overnight at tented camp. Day 29: Trek from Daphe Lagna Camp to Jumla 2370m/6-7 hours, stay overnight at tented camp. Day 30: Fly from Jumla to Nepalgunj and fly back to Kathmandu, transfer to Hotel. Day 31: Full day Sightseeing in Bhaktapur Durbar Square and Patan Durbar Square with our Tour Guide by private car, stay overnight at tented camp. Day 32: Departure to International Airport. * Airport / Hotel / Airport pick up & transfer by car / Van. * 4 nights accommodation with breakfast at 3*** Standard hotel in Kathmandu. * Kathmandu city tour as per the above itinerary. * Meals (breakfast, lunch and dinner) with Tea & coffee and hot/cold filter water during the trek. 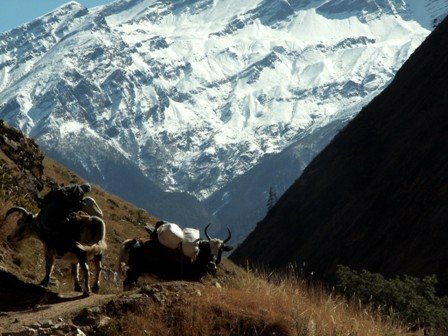 * 1 experienced, helpful and friendly guide, 1 cook and 1 helper, 1 sherpa (tents), porters (1 porter for 2 person), their food & accommodation, bus ticket, salary, equipments and insurance. * Rara National Park Permit and all necessary permits. * Domestic flight ticket KTM/Nepalgunj/Juphal-Jumla/Nepalgunj/KTM and Domestic airport tax. * All Camping Equipments (Dinning Tent, Kitchen Tent, Toilet Tent, Guest Tent, Mattresses) and Kitchen equipments (Utensils). * Guide & support staffs insurance and salary. * Any meals in Kathmandu other than breakfast. * International air fare to and from Nepal. * Nepal Tourist Visa fees. * Items and expenses of personal nature. * Any kind of alcoholic drinks, cold drinks, snacks, laundry, phone call, internet. * Emergency Evacuation (Helicopter Rescue). * Any costs which arise due to a change of the itinerary, because of landslides, domestic flight delays,political disturbance, and strikes etc. * Any other costs whatsoever, that is not mentioned in the cost included. 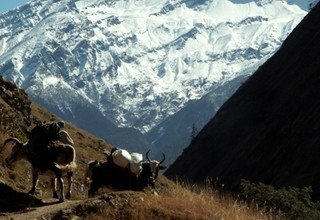 * Horse renting and additional porters during the trek.